Two of the tools that I use to create fun experiences with the twins are Groupon and LivingSocial. 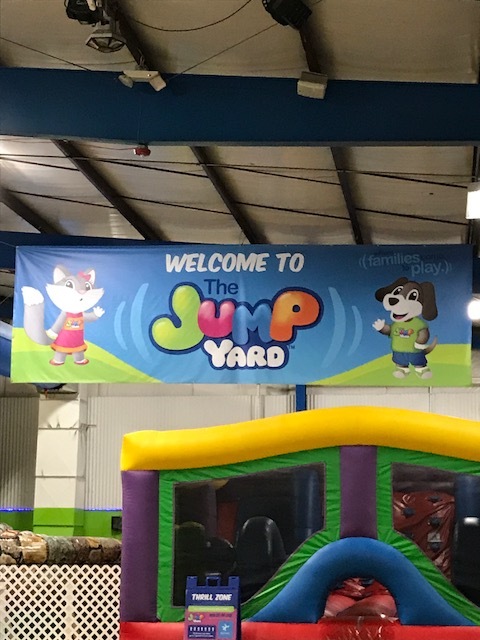 Recently, I took the twins to the Jump Yard. I kept hearing about it and wanted to take the twins, although I hadn’t made the time. Then, one of my parents forwarded me a LivingSocial deal for the Jump Yard. At the time I saw the deal, LivingSocial was having a sale of 20% off of all deals. The original LivingSocial deal was $19 for admission for two — and with the 20% off, the price went down to $15.20 for admission for 2 children. To put this into perspective, regular admission is normally $16/child, which meant it would have cost me $32 for admission (parent admission is always free). But by using Living Social and getting the deal while it was on sale, I saved $16.80 (52.5% off). I was so excited because that brought down the total cost to $7.60/child. For this particular outing I used LivingSocial, but Groupon is also one of my go-to sites. I have found great deals for the apple orchard, restaurants, and even the spa.I love searching those sites to find unique or even previously out-of-budget things and then creating experiences with my kids (or even a spa day for myself) around the deals I find. Just by using an online deal site like LivingSocial and Groupon, so much more stuff has become accessible and I’m able to do more with the kids. 1. Determine your desired activity and then search the sites for that activity. Do this before you pay for the activity in person or online because you never know what you are going to find. 2. Browse the sites and then plan your activities around what you find. Check both Groupon and LivingSocial because sometimes there is overlap, but other times discounts will only be listed on one of the sites. 1. Look to see if there is an additional discount. I’ve found that Living Social frequently has discounts and their site discounts are available more often than Groupon. 2. If you don’t find a site discount on top of the deal available on one site, then check the other site. 3. If there are no site discounts on top of the deal and if the sale isn’t about to end, then wait a few days to see if a discount code will be released. 4. Check the company’s website for the deal that you are about to buy to see if it is truly a good deal. Some places may have discount days or other deals that may be comparable or cost less than what you can get on Groupon or LivingSocial. 5. Check the dates. Know when you can use the deal. Look to see if it is only good for certain days of the week, if there are blackout days, and when it expires. This will help you to know if you will actually use it. 6. Check the fine print. Look to see if there are any exclusions, purchase minimums, or anything else that impacts the deal. For example, if you buy a deal for a restaurant, but the deal excludes alcohol. 7. Once you understand these things, then buy! I hope these tips help you to find new and cool things to do in the city. There are so many great things to do and ways to do them for less. Have fun and leave a comment to let me know of all of fun activities, dining experiences, and pampering activities that you are able to do for less. Aisha Taylor is a single mom of twins and the founder of FNPhenomenal. She helps single moms thrive financially and live phenomenally using Biblical principles. She has been featured in ESSENCE, Jet, and Black Enterprise and has taught finance workshops at Duke University, the University of Michigan, and Google. She also is the author of the #1 Amazon Best Selling Book, "5+5 FNPhenomenal Ways to Save $100 This Week Without Killing Your Lifestyle." Connect with Aisha at FNPhenomenal.com, the “Phenomenal Moms With Aisha Taylor" podcast, and on Instagram @FNPhenomenal. Join the free challenge to reduce your grocery spending in 30 days.